Process control is a key component in any manufacturing operation. In order to maintain plant efficiency and product consistency, a high priority must be placed on the monitoring and control of the variables which directly affect them. Process control has evolved from simple product monitoring functions to advanced planning, controlled implementation, review and refinement of significant processes throughout the organization. HC-Mold Maker has implemented process control in all departments of its organization which contains a wide network of computer hardware and software resources to continuously monitor all aspects of its operation. The integration of real-time production monitoring, production scheduling, purchasing, inventory transactions, warehousing, labor and work order management, and preventive maintenance, allow for seamless communication and reporting between both internal HC-Mold Maker departments and its customers. Each of our parts is assigned a full quality inspection plan, with a responsible leader from each of our key departments: engineering, tooling, processing and quality. These leaders work together to deliver the highest-quality part that meets-and exceeds-your needs. Document and Data Control----to assure the most current data is being used. Process Control----to ensure the part is correct the first time and each time thereafter. 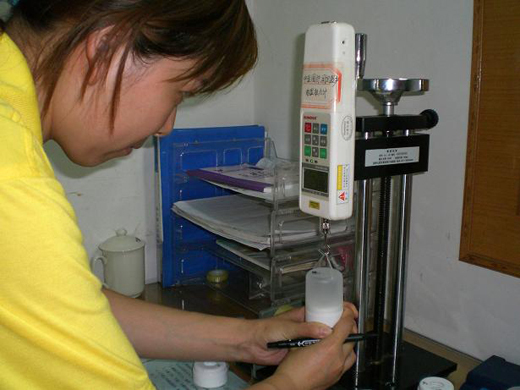 Inspection and Testing----to avoid a poor quality part is passed on to the next step. 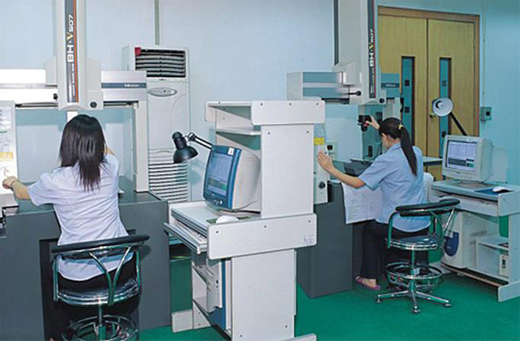 Inspection and Measuring Instruments and Equipment Control----to assure all test and inspection results are correct, uniform and meaningful. Non-conforming Product Control----to avoid shipment of poor quality parts.